Quality spacious accommodation and a warm welcome awaits you at Albannach. A Victorian cottage built in 1870 situated within a mile of Loch Lomond and The Trossachs National Park. 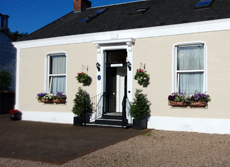 It is an ideal location from which to visit some of Scotland's main tourist attractions. 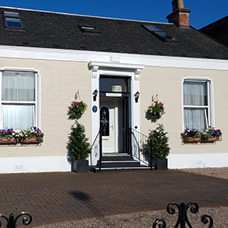 Traditional Scots hospitality is offered at this family run B&B and there is ample private parking available. 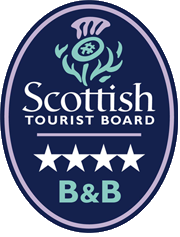 The Albannach was awarded a four star rating by VisitScotland in 2006 and has maintained that high standard since then. 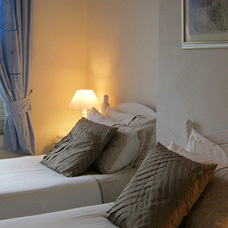 There are four king size guest bedrooms including doubles and twin rooms. 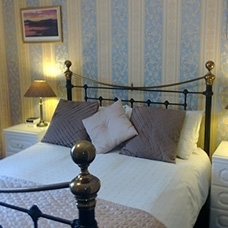 All double rooms have king size beds with memory foam mattresses. 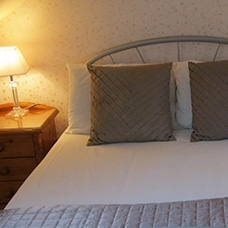 Every room is en-suite and has hairdryer, tea/coffee making facilities, TV/ DVD players and iPod docking stations. Wifi is available free of charge throughout the house. There is a small fully fitted kitchen available for guests use. The house is completely non-smoking for the comfort and safety of all our guests. It has excellent transportation links including a bus stop and taxi rank within 50 yards. The train station is a four minute walk away and trains to Glasgow - the shopping capital of Scotland - take less than forty minutes. There are two whiskey distilleries nearby and a huge array of outdoor activities to enjoy - including, golfing, fishing, walking, sailing or even quad-biking. The Albannach B&B is within easy reach of places to visit in the area, such as the lovely coastal town of Oban, with its boats to the Isles, Edinburgh for its beauty and history, and Stirling for its great castle. Your hosts, Margaret and Jim offer a warm and friendly welcome to their home. Here you will find a relaxed and pleasant atmosphere, ideal for rest & relaxation with traditional Scottish hospitality and comfort at its very best. Pets are very welcome. There is a large secure garden for your pets to run around.There is also secure parking at the rear of the house for motorbikes and cycles. 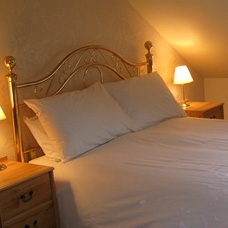 A stay at Albannach, one of the most charming of Loch Lomond bed and breakfasts will be a pleasure to remember.